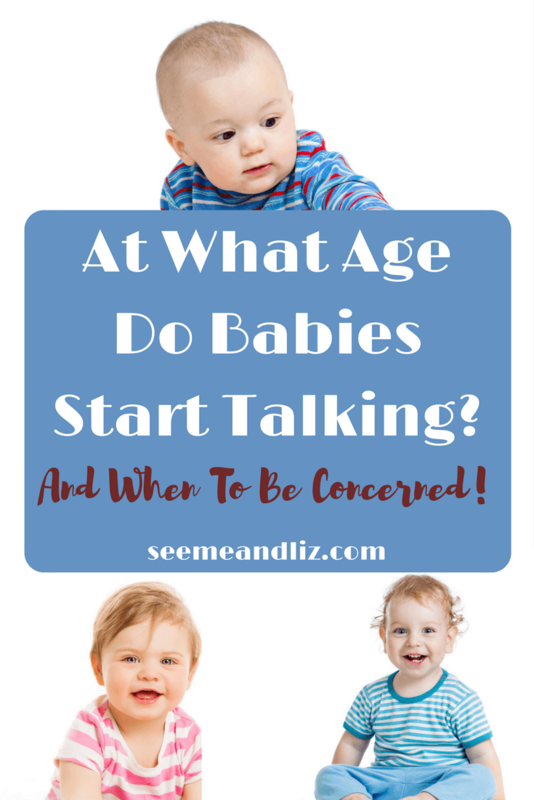 As with all other developmental milestones, the age at which babies start talking will vary from one child to the next. However, language development, including vocabulary size, is one of the best indicators of future success (including academics). Therefore it is important to be aware of the language development hierarchy. For those of you that really want an answer to the question of this article, the average age that babies will say their first word is 12 months. Please don’t worry if your 12 month old doesn’t have any words yet. Remember, this is the average age. There are many skills that your little one needs to acquire before spoken words will be heard. 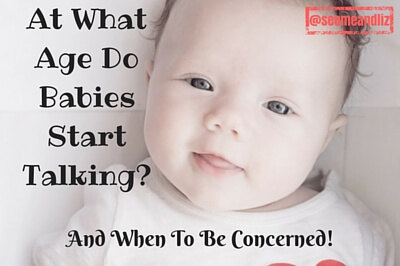 Let’s take a look at some of the skills a baby must have in place in order to start talking. If your 12 month old has these skills, words will follow soon. 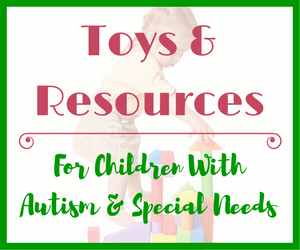 Continue reading for tips to develop these skills if your child is struggling. Starting from birth, babies should start making eye contact with those most familiar to them (parents and close caregivers). You will often see a baby looking intently at her father as he speaks or sings to her. This is a very important skill, not just from a social perspective, but also for language development. As your baby grows and can make eye contact more often, she is looking at your mouth and eyes and obtaining cues about emotions and the different sounds used to make up words. This is important from both a social and language development perspective. 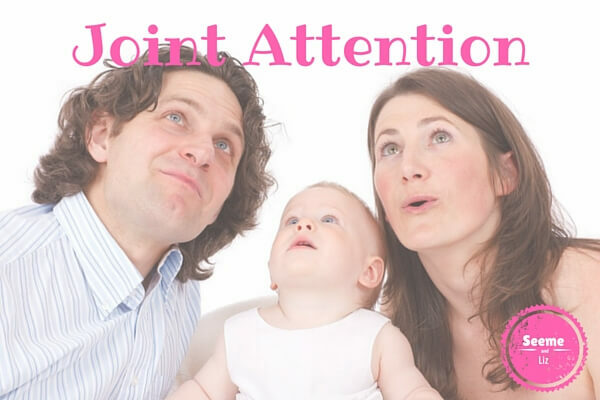 A child needs to have a reason to communicate and this starts with joint attention. This skill becomes solidified after about 9 months of age when babies are regularly seen pointing to an object, event, person, etc., then looking back at their caregiver and then once again looking and pointing at the object. This simple activity shows that baby understands communicative intentions. Babies typically begin to use gestures as a form of communication around 8 months. 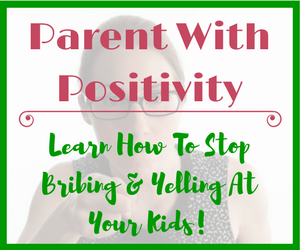 A few good examples are clapping (to indicate being happy or excited), waving, pointing, arms up (indicating wanting to be picked up), blowing (perhaps indicating wanting mom/dad to blow some bubbles), reaching out and opening/closing hand to request something, blowing kisses, etc. This is typically seen in babies that are 8 months and older. Babies will begin imitating actions such as clapping, waving, blowing kisses, etc. Babies will also imitate simple vocalizations such as “bababa” and “dadada” or coughing, raspberries (putting lips together and blowing, making a sound like “brrr”), smacking lips, etc. These kinds of imitation start out social in nature. It is a way for a baby to interact with their parent/caregiver. However, it is also a precursor to spoken language. Babies learn from a young age that conversation is give and take. But by copying an adult’s vocalizations, the baby is also learning complex mouth movements that will later help him form words and sentences. I touched on this a bit above, but I want to give you some more information. This skill is one of the earliest to develop. 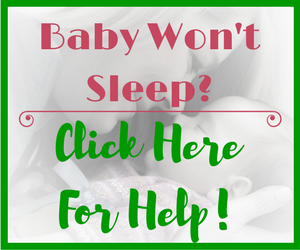 Parents begin to interpret their baby’s noises, cries, smiles, movements, etc. As baby grows parents may begin leaving pauses to see if their baby will respond with a sound, action or smile. Eventually this give and take results in true turn taking which is necessary to carry on a conversation! Your baby’s first year will be filled with information gathering. Before a child can speak, she must understand the words she is hearing. This is why it is very important that you narrate as you go about your day. Talk to your baby about what you are doing. She may not understand everything right now, but she soon will. Babies and toddlers need to hear words hundreds of times before they will start using them themselves. This is probably why “no” is often a first word for many children! It’s ok to talk to your baby the way you would talk to another person. You do not need to use immature grammar. Using inflection and intonation in your voice is great because it really draws attention to the sounds in the words you are using. Try using real words as much as possible and avoid made up babyish terms such as “tata” (give me). That being said, vocal play with a baby is perfectly fine. What this means is that you can look at your little one and say “babababa” or something like that. But this would be done playfully, and hopefully once your baby is closer to 6 months she may start imitating some of these sounds. Your baby should understand the word “no” by about 12 months old. Prior to this you will see understanding when you call her name and she turns her head towards you. After 12 months, a baby can understand simple instructions/questions such as “where is the ball?” or “show me your shoe”. If you are concerned that your 12 month old does not have any words, here are some red flags to be on the lookout for. If you feel that your 12 month old has 2 or more of these red flags, please contact a registered speech-language pathologist in your area. Curious as to what some common first words are? Download this list and keep it on your fridge! Talk to your baby, label objects you see, describe what you are doing. Make silly sounds, pause and wait. Give your baby the chance to respond by either vocalizing, gesturing or changing her facial expression. Point to different items around your house. Go up close and look at the item, label it, and then look to your baby for confirmation. Do this frequently. Your baby should soon start trying to draw your attention to something he is interested in. Use gestures in addition to pointing. For example, if you know your baby wants to be picked up say something like “ok, I will pick you up” while lifting your arms up as you are walking to your baby. But, this does not mean use made up words or incorrect grammar (telegraphic speech). Try and avoid phrases like “tata to mommy”. Instead say “give it to me”. Those are all still simple words and there are only 4 words in that phrase. However, you are modeling correct grammar. If your little one has a special toy, hold it up to your face to encourage her to look at you. Play games like “peek-a-boo” and say “I see you” every time you or baby pull the blanket away. Point to your baby while saying “I see you”. Talking to a baby in a sing song voice is often referred to “motherese” or “baby talk”. Changing the tone of your voice and varying your pitch helps maintain a baby’s attention. Reading is a wonderful way to bond with your baby. But it is also a great way to build language skills. Find simple books with few words. And you can always make up your own story. Point and label pictures. Look from the book to your baby while you are talking. Vary your pitch and intonation to keep your little one’s attention. If your baby allows it, take his index finger from time to time to show him how to point to pictures (for babies over 10 months). Sing songs/poems like “The Wheels On The Bus”, “Itsy Bitsy Spider”, “If You’re Happy And You Know It”, etc. There are many others, or you can make up your own songs with actions. Do the actions while your baby watches. After hearing/seeing a song many times your baby will start repeating simple actions such as clapping. Once your baby is sitting independently roll a ball to him and encourage him to roll it back to you. Make sure that you make eye contact with your little one and talk about what you’re doing. For example “here comes the ball”, “you caught the ball, yay!”, “now roll the ball back to me”, “my turn”, “your turn”, “you have the ball”, etc. You could do a similar activity with blocks as well. Take turns stacking a block to build a tower. There are many simple turn taking games you can play with babies. 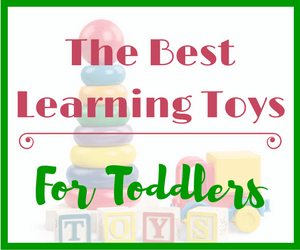 If your baby is interested in a particular toy, game or book, talk about it a lot. Point and make eye contact. Since your child is already interested he will be more likely to learn new skills. Remember, the average age that babies start talking, by talking I mean say their first word or 2, is around 12 months. If your baby (12 month old) is babbling, making eye contact, responding to her name, showing joint attention, using gestures and pointing but does not have any words, keep doing what you are doing. I am sure he will start speaking in no time. However, if by 16 months your little one still does not have any words, then it is time to have an assessment done by a registered speech-language pathologist. To rule out any possible hearing issues, you can also take your child to an audiologist. But call first and make sure he or she works with babies and children as the testing is different than with an adult. Thanks for your comment Sherron. I would like to direct you to the this article. I think you will find it quite insightful. 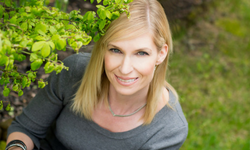 The intent of my articles around speech and language development are not to scare parents. But speech and language development does make up the foundation or building blocks for skills that children will learn later on. 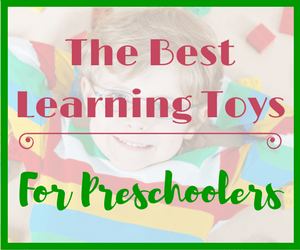 There is so much more to speech and language development than simply speaking words. I spent 8 years at University studying child development and 3 years specifically around child language development and brain development. As I said, the information I am sharing isn’t to spread fear and worry but parents do need to be aware of future issues that may arise if a child is “late to talk” and does not receive therapy (assuming it is warranted). Thanks for sharing this. My daughter is now 19 months and says a few words but mainly still babbles a lot. However, I am Russian and my husband is English and we’re trying to raise her to be bilingual. I’m curious on how her being exposed to 2 languages can affect her speech development. Some websites claim there might be a slight delay. Some say there should be no delay. At the moment she speaks a few English words with just 1-2 Russian words. However, her understanding of Russian and English is basically the same. Time will tell, but it’s always exciting to hear her copy sounds or words she hears from people around her. It is true that children learning more than one language may be a bit behind with their expressive language. But this should only be within a few months of when a child speaking one language learns to talk. If you are in an English speaking part of the world there is a good chance that your daughter’s stronger language will be English. Just keep an eye on things and if by 24 months she still only has a handful of words in both languages it would probably be best to have her assessed by a speech-language pathologist. When your baby is growing, he will try to flaunt his language skills by speaking gibberish. This gibberish talk will eventually turn to real words. It will then slowly turn into full sentences. This babble is actually your little one developing his speech skills. An incredible fact is that your baby starts to learn language and words even when he is inside your womb. Thanks for your comment Padmavathi! You are correct, there are many stages of “talking” babies go through before they are actually able to speak. Just like a baby can’t just get up and walk they also aren’t born talking. But each day they learn more and more that will eventually bring them to the goal of walking and talking! Hi my 19 month old nephew hasn’t said his first word yet he only screams. He is hyperactive, follows some of the instructions and responds well. Pediatrician have asked them to wait or else he will be labelled. What would you suggest? My suggestion is that your nephew needs to be seen for a speech-language evaluation as soon as possible. Children whose language skills develop on track or ahead of schedule tend to do better in school than those children who were late to talk. Please take a look at this article for some stats on this subject https://seemeandliz.com/what-is-a-late-talker-the-truth-revealed. Perhaps it would help to refer your nephew’s parents to these articles. Unfortunately most general practice pediatricians do not have the in depth knowledge about language development that a speech-language pathologist has. Thank you so much Tanya.This will really help. My baby is 25 month old and he can only say daddy and mama..the problem is he is so hyper, we cant even control him..he can recognize his name and sometimes he is talking alone, babbling..pointing things (ah ah)..but he follow things, like give me that, get that, etc.im worried that my toddler cant talk anymore..what is the average are a baby toddler can talk..
By the age of 2 children should have a vocabulary of about 50 words. 2-3 word combinations are also becoming more common (for example, “Dada shoe”) by 24 months. I strongly recommend taking your son for a speech-language assessment as the earlier a child receives treatment (assuming it is warranted), the better the outcome. Please let me know if you have any other questions. This is really helpful. You’ve given some pretty good suggestions on what to do to help with their non-verbal language skills. People are saying baby talk should be avoided and you also pointed that out. But isn’t it easier for them to understand instead of whole sentences? But I do agree with the intonation advice. It does help and proper tones should be used when communicating with babies. Thanks. Thanks for the comment Andrew. Take a look at the article What Is Motherese? To Baby Talk or Not? as I give more explanations there about the whole “baby talk” thing. Babies are capable of learning multiple languages simultaneously so there is no reason why they won’t be able to understand proper grammar usage of one language. Like I mentioned, you can keep your sentences short but try to use correct grammar whenever possible.